WAR 04: WAR IN THE PERSIAN GULF, COMING SOON. THE MISTERY OF THE STRAIT OF DAVIS REVISITED AND NOSTRADAMUS. + PLEASE PAY CLOSE ATTENTION TO LIBIA, EGYPT, TURKEY, SIRIA, STRAITS, PERSIA, BABYLON & MESOPOTAMIA.... the time is running out. Edgar Cayce reading (3976 - 26) April 28, 1941"
Is a term for the revolutionary wave of demonstrations and protests (both non-violent and violent), riots, and civil wars in the Arab world that began on 18 December 2010. To date, rulers have been forced from power in Tunisia, Egypt (twice), Libya, and Yemen; civil uprisings have erupted in Bahrain and Syria; major protests have broken out in Algeria, Iraq, Jordan, Kuwait, Morocco, and Sudan; and minor protests have occurred in Mauritania, Oman, Saudi Arabia, Djibouti, Iran, Western Sahara, and the Palestinian Authority. Although the 2013 protests in Turkey started as a response against the removal of Taksim Gezi Park in Istanbul, they have sparked riots across the country in cities such as Izmir and Ankara as well. The Turkish Islamist government supports Morsi, the first democratically elected president in Egypt, and is against the military coup. The Persian Gulf is located in Western Asia between Iran (Persia) and the Arabian Peninsula. It is an extension of the Indian Ocean. This inland sea of some 251,000 square kilometres (96,912 sq mi) is connected to the Gulf of Oman in the east by the Strait of Hormuz; and its western end is marked by the major river delta of the Shatt al-Arab, which carries the waters of the Euphrates and the Tigris (former historical area of MESOPOTAMIA or BABYLON). Its length is 989 kilometres (615 miles), with Iran covering most of the northern coast and Saudi Arabia most of the southern coast. The Persian Gulf is about 56 km (35 mi) wide at its narrowest, in the Strait of Hormuz. The waters are overall very shallow, with a maximum depth of 90 metres (295 feet) and an average depth of 50 metres (164 feet). FROM "Blockade of the Strait of Hormuz — Iran’s Options"
Countries with a coastline on the Persian Gulf are (clockwise, from the north): Iran, Oman (exclave of Musandam), United Arab Emirates, Saudi Arabia, Qatar on a peninsula off the Saudi coast, Bahrain on an island, Kuwait and Iraq in the northwest. Various small islands lie within the Persian Gulf, some of which are the subject of territorial disputes between the states of the region. LIBYA, EGYPT & SIRIA they are now in chaos for different reasons. TURKEY: In the capital, Ankara, ruled by an Islamist party who supports Egyptian President Morsi and is against the military government of Al Sisi. Now is the turn of the countries around the Persian Gulf & Indian Gulf as Edgar Cayce says. Century 1 - Quatrain 55. Old French. Sects, hunger, to reign plagues, confusion. 01- THE BEGINNING (Mesopotamia one) 1990 to Forward. + From Mesopotamia (Irak) to Rhone river (France) through THE CITY in Italy with the VICAR. Century VII - Quatrain 22. Old French. 2 Tarragona = Old city of Spain = Spain and more (NATO, UE, USA & KUWAIT) because they are friends and partners of Spain. 3 Vicar = A person appointed to do the work of another or a priest who acts for or represents another, often higher-ranking member of the clergy. In the Catholic Church, the vicar is the representative of a senior officer, with all the same authority and power of the officer. Calling the Pope, "Vicar of Christ", this means that he has the same power and authority that Christ has for the Church. The title is derived from the words of Jesus in John 21:16-17 to Peter. 02 -By the way ... ISRAEL IS DEFEATED BY BABYLON (IRAQ, again). Century 8 - Quatrain XCVI. Old french. + It is easy to relate the "Synagogue" with the Jews and "the persecuted" with Sadam Hussein (former tyran of Iraq). 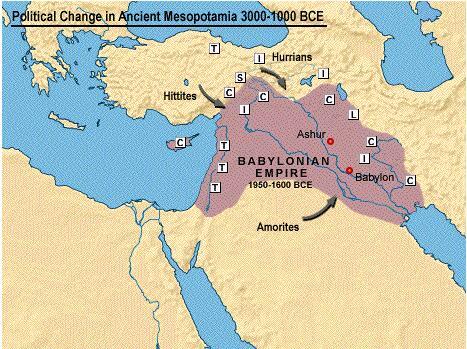 Babylon is an historical area located in Iraq. 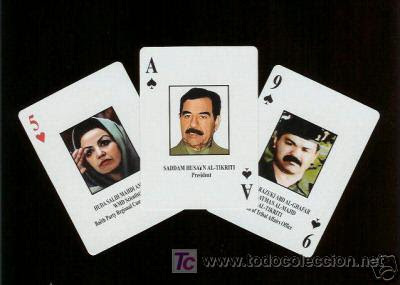 The cards of the chase of Saddam Hussein and "Friends"
03- ..... & THE END (Mesopotamia two) "Mesopotamia will fail in France." COMMENT + Nostradamus describes a decisive battleground. That which will begin in Mesopotamia will be stopped in southern France. Bisance, Egypte, ver. serp invadera. the kingdom of the Church will succumb to the sea. will invade Egypt and Byzantium (turkey) the true serpent. + Byzantium is now part of the Turkish Republic & Persia is the old name of the islamic republic of Iran; and the Vatican City is an ecclesiastical or sacerdotal-monarchical state, ruled by the Bishop of Rome—the Pope. + So this quatrain seems to say that an Arab prince join these three countries against Italy and the papacy. +REMEMBER the pope is the VICAR of CHRIST In the Catholic Church. The world´s fate is decided in Carmania/Hircania? TO CIA (part 3): KRIPTOS K4 SOLVED? THE SITE IS DOWN. + Jim Sanborn set up the website kryptosclue.com back in 2010 so people could submit the first 10 characters of their proposed solutions. That website does not appear to be online anymore. + It expired on November 15, and he forgot (or chose not) to renew it. period of 30 days that he can use to renew it and get the site back. + Supposedly the domain expired (confirmed) and on the yahoo group the word is that he’s working on another submission method. He is working on a new method for people to submit potential answers. I'll let you know as soon as I hear anything." IS THIS TRUE OR IS JUST A POOR EXCUSE? +HENRI, the "heavenly", the legitimate king of France is crowned at Reims in wartime, highlights in Provence, and for the prophet Emperor & defender of Italy and the Papacy; and who expelled the Muslim invaders & the king of Morocco (1999, 7 months. The Nemesis). Sera régie en plus grand détriment. Will be governed in greater detriment. Tournant l'Eglise en pristine preeminence. + TROJAN BLOOD The Roman de Troie was common cultural ground for European dynasties, as a Trojan pedigree was both gloriously ancient and established an equality with the ruling class of Rome. A Trojan pedigree could justify the occupation of parts of Rome's former territories. On that basis, the Franks filled the lacunae of their legendary origins with Trojan and pseudo-Trojan names: in Fredegar's 7th-century chronicle of Frankish history, Priam appears as the first king of the Franks. The Trojan origin of France was such an established article of faith that in 1714, the learned Nicolas Fréret was Bastilled for showing through historical criticism that the Franks had been Germanic, a sore point counter to Valois and Bourbon propaganda. + A king will live a unique moment in the history of the papacy. At risk is the church FROM THE SEA (from africa or/and Turkey). + The Vatican State is "The kingdom of the Church". Rome Italy's capital and Pope's state simultaneously. The two are in danger from the MUSLIM threat (Iran, Egypt, Turkey ....) and the KING/EMPEROR has to protect the Church. a calamitous war under Cancer. who will bring peace to the earth for a long time. will be received and anointed at Reims and Aix. After conquests he will murder innocent people. AIX: City-commune in south of France, about 30 km (19 mi) north of Marseille. 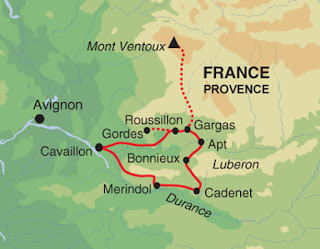 It is in the region of Provence-Alpes-Côte d'Azur, in the département of Bouches-du-Rhône, of which it is a subprefecture. It is an important city because Aix-en-Provence (Aquae Sextiae) or simply Aix was which during the Middle Ages the capital of Provence, did not reach its zenith until after the 12th century, when, under the houses of Barcelona/Aragon and Anjou, it became an artistic centre and seat of learning. 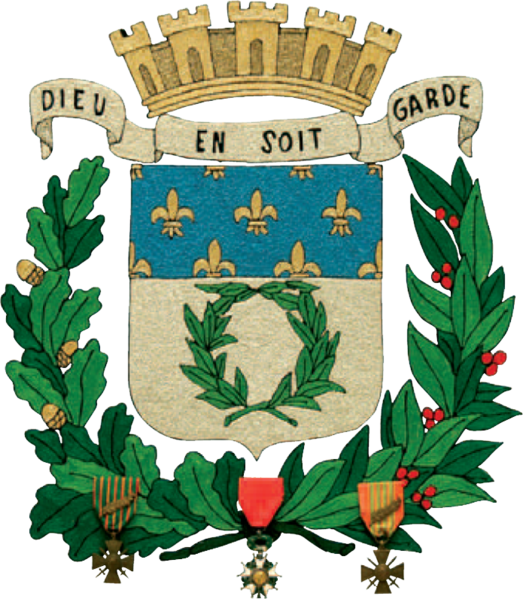 + It is a date related astrological coronation of the king of France in Reims and its activity in Provence but MARS is WAR because is the god of the WAR. 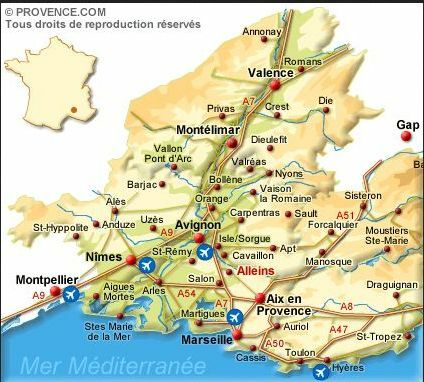 + Cities of Provence are often mentioned by Nostradamus as Marseille and Avignon (future capital of France). The King and strong and powerful, perhaps too powerful. And will die innocents..... does he could control his power?. HE CAN PACIFY THE WORLD. Auant apres Mars regner par bonheur. Before after Mars to reign by good luck. +Region occupying the majority of the department of Charente around Angoulême. + I guess that in July 1999, will take the throne a very powerful and evil King, and their actions will facilitate accession to the throne of France of someone as wise was King Charles V of France, conqueror of Angoumois. He is the King of Morocco: Mohammed VI or Muhammad VI (Rabat 1963), roi du Maroc (1999), de la Dynastie alawite. On 23 July 1999, Mohammed succeeded his father as king, being enthroned in Rabat on july 30 . + Before and after 1999 there will be war in the world. So, the king of France shall be elected in time of war. AUGUR + The augur was a priest and official in the classical world, especially ancient Rome and Etruria. His main role was to interpret the will of the gods by studying the flight of birds: whether they are flying in groups or alone, what noises they make as they fly, direction of flight and what kind of birds they are. This was known as "taking the auspices." The ceremony and function of the augur was central to any major undertaking in Roman society—public or private—including matters of war, commerce, and religion. The Roman historian Livy stresses the importance of the augurs: "Who does not know that this city was founded only after taking the auspices, that everything in war and in peace, at home and abroad, was done only after taking the auspices?" SELIN + Etymology+ : also as "Celia/Selina/Celina/Cecile/Seline/Celine/Cecil/Celio...."
is of Latin origin, and the meaning of this name is "heaven". From "Caelia". Can also be a short form of Marceline. In French it is spelled Céline. The variant Celina means that it can also be related to Selina. (by example singer Celine Dion). + The crescent moon and Friday are two symbolic references to the Muslim world. It is obvious. I think it refers to the Prince Felipe of Spain or to Louis de Bourbon bears the title of Duke of Anjou (cousin of King Juan Carlos I of Spain) , as the king who defeated the Muslim invaders in Spain & France, and "brother royal" (Juan Carlos I is also the King of the House of Bourbon, now Spain and Luxembourg currently have Bourbon monarchs ). + The augur, soothsayer, prophet or seer has to bless the king by laying his hands, this is a way of blessing, but who is this person? The Pope ? The king is king by the will of God, heaven and he will die after defeating the invaders from the other side of the sea. 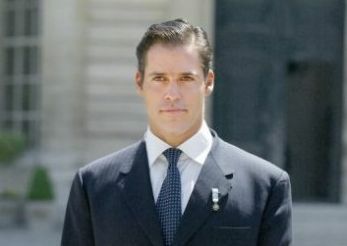 1+ "Les longs cheveux de la Gaule Celtique" this phrase is related to the origin of French royalty: The Merovingians. The Merovingian ruling family were sometimes referred to as the "long-haired kings" (Latin reges criniti) by contemporaries, as their long hair distinguished them among the Franks, who commonly cut their hair short. The Frankish King Dagobert II, and the Merovingian dynasty from which he came, have been romantically mythologized in the annals of both local legend and modern mystical pseudo-history. The mystique that surrounds them includes attributions of saintliness, magical powers (derived from their long red hair), and even divine origin, stemming from their supposed descent from the one and only Jesus Christ. + It is ONE victory: the liberation of Aquitaine. The king is a legitimate king and so by original royal lineage. + The coronation conferred legitimacy to the King. This was the belief that impelled Joan of Arc to conduct Charles VII to Reims to be coronated in 1429, even though, entrenched at Bourges, he had been reigning as King for seven years. + Like the Kings of the Old Testament, the coronation was the alliance between God and the Capetian sovereign: in exchange for divine unction, the King promised to reign with justice, to protect his people, and to uphold the religion. + The Cathedral of Reims played the same role in France as Westminster Abbey has in the United Kingdom. It housed the Holy Ampulla (Sainte Ampoule) containing the Saint Chrême (chrism), allegedly brought by a white dove (the Holy Spirit) at the baptism of Clovis in 496. It was used for the anointing, the most important part of the coronation of French kings. + Reims, a city in the Champagne-Ardenne region of France, lies 129 km (80 mi) east-northeast of Paris. + During World War II the city suffered minimal damage. But in Reims, at 2:41 on the morning of 7 May 1945, General Eisenhower and the Allies received the unconditional surrender of the German Wehrmacht. General Alfred Jodl, German Chief-of-Staff, signed the surrender at the Supreme Headquarters Allied Expeditionary Force (SHAEF) as the representative for German President Karl Dönitz. + Reims played a prominent ceremonial role in French monarchical history as the traditional site of the crowning of the kings of France.Louis I (the Pious) was the first King to be coronated in the Cathedral of Reims, in 816, and a diplôme from the Emperor to the Archbishop Ebbo made explicit reference to the baptism of Clovis as the reason for this decision and it was only in the early 11th century that the Cathedral of Reims finally imposed itself as the Coronation Cathedral. - Silver foliage with two laurel Vert run in duplicate necklace, a chief azure fleurs de lys gold (of former France). + It was during the coronation of Charles the Bald in Metz that the Archbishop of Reims, Hincmar, related in his Vita Remigii, the miracle of the small vial brought to Saint Remi by a dove, sent by God, to anoint Clovis. + From then on, with the exceptions of Louis VI (Orleans) and Henri VI (Chartres), all the kings of France who were coronated by royal unction (Louis XVIII and Louis-Philippe were not) were crowned in Reims by the Archbishop, or another prelate if the metropolitan seat was vacant. Moulage Archives Nationales, sc/St 2153. From several Remoise traditions, Hincmar embellished the discovery, in the tomb of Saint Remi, of a vial of aromatics that had served to embalm the body of the Prelate. Authenticated by Pope Innocent II in 1131 and entrusted to the keeping of the Abbey of Saint Remi until the Revolution, The Holy Flask assured the Church of Reims the privilege of being the coronation cathedral of French kings. The coronation of the Kings of France took place inside the Cathedral of Reims, a Gothic art masterpiece which has been listed as a UNESCO World Heritage Site since 1991. + The coronation ceremony of the kings of France: As we know from the ORDO, the coronation ritual evolved During the Middle Ages and underwent Further Modifications During The Ancient Regime.